Town & Country from Our Video Library on Vimeo. Town & Country is a city of spacious luxury, which boasts a convenient central corridor location just west of Frontenac. City zoning requirements keep properties no smaller than one acre and preserve a quality lifestyle free of congestion. 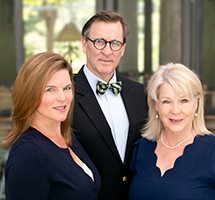 Town & Country enjoys a reputation as one of the most affluent and prestigious communities in St. Louis County. A 2009 survey showed that Town & Country residents have the highest median household income ($134,387) of any city in Missouri with a population of over 10,000. The gorgeous municipality is improved by three large public parks that provide beautiful scenery and meeting places for gatherings of friends and loved ones. Town & Country homes sold for a median price of $735,000 in 2016. This serves as a testament to Town & Country's desirability and demonstrates the value of a property in this spacious municipality. There has also been a significant increase in home values over the past few years. In 2011, homes sold for a median price of $570,000. In the last 5 years, median home values have increased by nearly 29%. Prestigious subdivisions such as Mason Heights and Horton Place are known as some of the most desirable neighborhoods in St. Louis County. Homes in Town & Country are often set back from the street so that their owners may delight in full views of wooded properties. The homes, often made of brick, are grand and traditional. Town & Country is home to Myseum, a science museum that hosts attractions for children and adults alike. Bellerive Country Club is a historic club that offers a world-class golfing experience. Its golf course has hosted major tournaments including the 1965 US Open. The Town & Country Symphony Orchestra ensures that community arts continue to thrive. The city's three public parks provide running and walking trails for scenic exercise, gorgeous picnic spaces, and pavilions for large gatherings. Longview Farm Park houses horse stables provided by Equine Assisted Therapy. Students in Town & Country are served by the Ladue, Parkway, and Kirkwood school districts. All three districts have been awarded an AAA rating, the highest rating given by Missouri Department of Education. Those looking for private and faith-based options have access to quality schools such as Visitation Academy, Whitfield School, Westminster Christian Academy, and Principia School. Maryville University, located in the heart of Town & Country, is a premier center of higher education. The university offers over 90 different degree programs and is one of the oldest private academic institutions in the St. Louis region. 68 listings found. Showing 12 per page.